Hello Linux Geeksters. As you may know, Skype 4.3 has been recently released, coming with a new user interface and improvements for the Skype client. Among others, it got support for cloud-based Group Chat, the file transfer support when using multiple devices at once got enhanced, support for PulseAudio 3.0 and PulseAudio 4.0 has been added while the support for Alsa has been dropped and the accesibility for blind and visually impaired users has been improved. While it has been out for a while already, Skype 4.3 has been added to the Canonical Partner Repository. 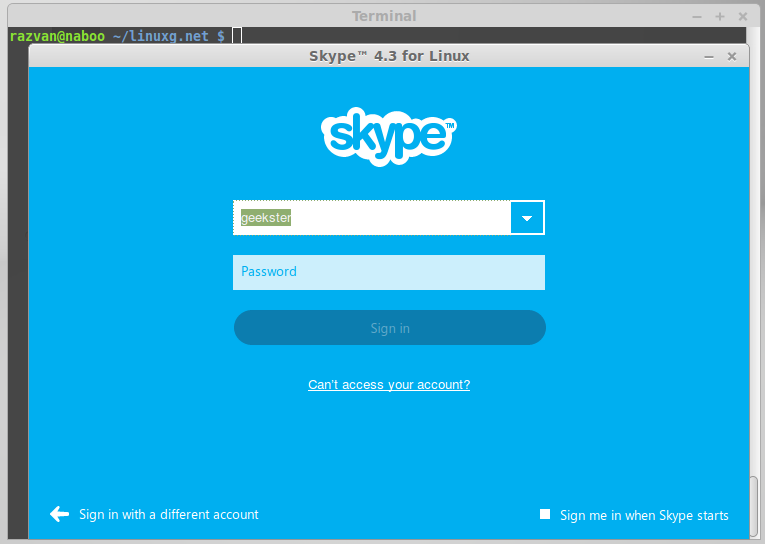 In this article I will show you how to install Skype 4.3 on Ubuntu 14.04 Trusty Tahr, Ubuntu 12.04 Precise Pangolin, Linux Mint 17 Qiana, Linux Mint 13 Maya, Pinguy OS 14.04, Pinguy OS 12.04, LXLE 14.04, Elementary OS 0.3 Freya, Elementary OS 0.2 Luna, Peppermint Five, Deepin 2014 and other Ubuntu derivative systems. Because it is available via the Canonical Partner Repository, installing Skype 4. is easy. All you have to do is add the ppa to your system, update the local repository index and install the skype package. $ sudo add-apt-repository "deb http://archive.canonical.com/ trusty partner"
in my test i have managed to install Skype 4.3 via that repository. most likely it hasn’t been made available for or its mirrors?! I too tried the above and it failed for me as well. What worked is installing the version for ubuntu 10.04 from the .deb file on the skype download site. Yes, I am running 14.04 64 bit and this solved the problem on two such systems. before running the new deb package.